Easter is almost here! 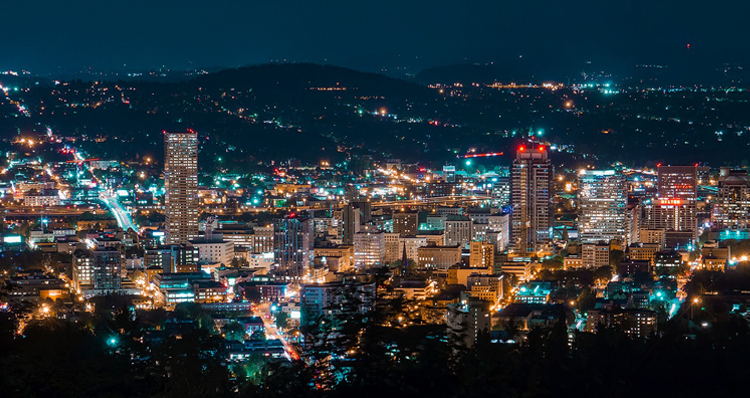 The Portland area sure knows how to celebrate this egg-citing holiday with a number of events, from egg hunts to 5Ks, brunches to Easter Bunny photo opportunities, and everything in between. Mark your calendars for these Easter events in Portland so you don’t miss any of the fun this year! 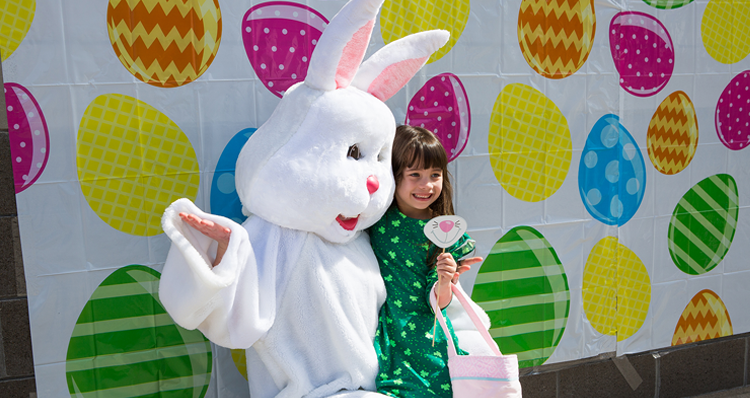 Head to Washington Square for a special visit with the Easter Bunny, crafts, storytimes, special appearances by the Spring Queen, and much more. On April 7 and 14, enjoy arts and crafts at the craft station from 1–4 p.m. and don’t miss storytime with the Spring Queen from 2–3 p.m. And from April 15–19, get your photo taken with the Easter Bunny and keep your eye out for special guest appearances from 11 a.m.–1 p.m.
April 12 | 5:30–8:30 p.m.
Join Peter Rabbit for a unique underwater egg hunt in the pool at the Conestoga Recreation and Aquatic Center in Beaverton. Additional activities include a coloring contest, bunny bingo, a photo booth, an indoor play park, a cupcake walk, a bouncy house and crafts. All children must have a parent present at the event, and children under age 7 must have an adult in the water during the egg hunt. The underwater egg hunt has two time slots, one from 5:30–6 p.m. and a sensory-sensitive time frame for those with sensory issues from 6:05–6:35 p.m.
April 13 | Breakfast: 8–11 a.m. + Carnival: 8:30 a.m.–12 p.m.
West Linn Community Preschool is hosting their 43rd Annual Peter Rabbit Pancake Breakfast and Carnival at West Linn High School! The proceeds from this fun, family-focused event will support the preschool and the event is suitable for all ages. There will be carnival games, raffles, a silent auction, and photo opportunities with Peter Rabbit and special guest Rojo the Easter Llama. Admission to the Peter Rabbit Pancake Breakfast & Carnival is $6 for adults and $4 for ages 3–12 in advance or $7 for adults and $5 for ages 3–12 at the door. April 13, 14 + 20 | 9 a.m.–4 p.m.
Lee Farms in Tualatin is offering three days of egg hunting fun, plus a visit with Hippity Hoppity the Easter Bunny, a bounce pillow, a hay maze, and lots of sweet treats and refreshments. Pre-registration is encouraged as time slots can fill up. 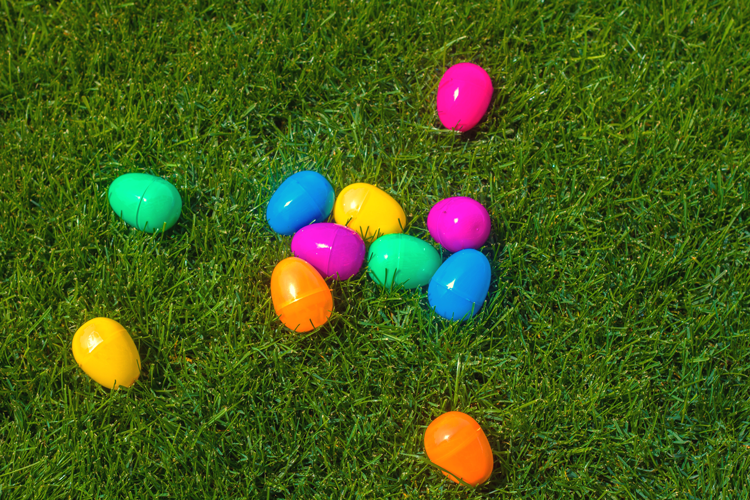 An egg hunt starts every 15 minutes from 10 a.m. to 3 p.m. Children 12 and under will pick up their 12 eggs and exchange them for prizes at the prize barn. Tickets for the Easter Egg Hunt at Lee Farms cost $10. April 13 | 10 a.m.–12 p.m. If this popular event is not yet full, you’re in luck! Hope City Church is hosting their annual Code Orange Easter Egg Drop at Brentwood Park on Saturday, April 13. Watch as 20,000 eggs are dropped from a helicopter flying overhead, pose for photos with the Easter Bunny, and play lots of games. This Easter tradition in Portland is a must-see! Get moving at the Hop Hop Half — or opt for the 5K or 10K. This fun, Easter-themed event features gorgeous, flat courses with views of the beautiful Columbia River, Mt. Hood, and surrounding scenery. All finishers receive cute medals, mimosas and a full brunch. At the after party, participate in the Easter egg dying contests, dance party and pose for pictures with the Easter Bunny. Register in advance to be a part of this exciting Easter fitness event! April 20 | 9:30 a.m.–3 p.m. Kids under 10 are invited to enjoy candy hunts, coloring activities and farm animal talks at Rabbit Romp, a celebration of spring at the Oregon Zoo. Candy hunts and coloring activities will begin at 9:30 a.m., with a new hunt taking place every 15–20 minutes until 3 p.m. There will be two separate hunts on the concert lawn, one for kids ages 3–10 and one for kids 2 and under. Get your photos taken with the Easter Bunny at Turtle Terrace and stop by Elephant Plaza for education/activity/coloring stations. The Rabbit Romp is completely free with zoo admission! April 20 | 10 a.m.
Don’t miss the annual Wilsonville Egg Hunt at Memorial Park, featuring more than 10,000 candy- and prize-filled eggs mixed with prize coupons from local businesses. Children under the age of 11 are invited to participate in this egg-citing community tradition in Wilsonville! April 20 | 9:30 a.m.–12 p.m. 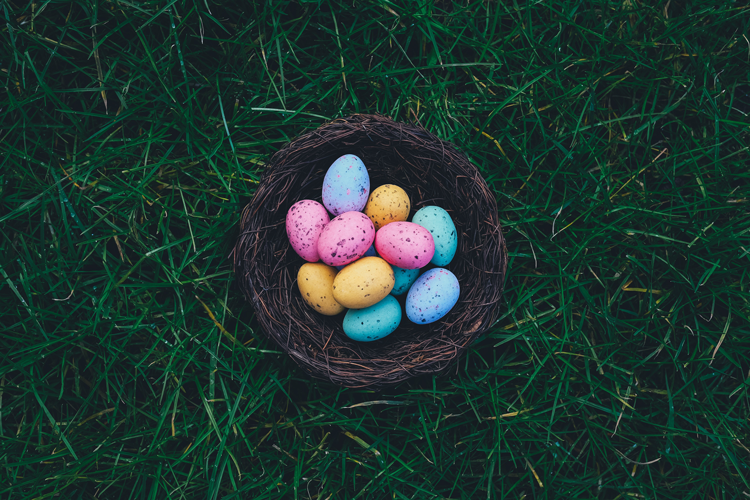 The Spring Egg Hunt at the Cedar Hills Recreation Center in Beaverton kicks off with an all abilities, non-competitive hunt designed for those who need less of a crowd, more time to search, and/or additional assistance. Registration covers one child and one adult, if needed. This hunt is from 9:30–9:45 a.m., followed by additional egg hunt time slots until 11:25 a.m. Pre-registration is required for all egg hunts! April 20 | 11 a.m.–1 p.m. Hop on over to the Garden Home Recreation Center in Beaverton for a special egg hunt. Come rain or shine and bring your baskets to load up on colorful eggs and fun surprises. The Spring Egg Hunt is designed for children ages 1–10 and pre-registration is required. There will be an adapted indoor event at 10 a.m. for kids who have sensory sensitivities or need mobility support. April 20 | 11 a.m.–3:30 p.m. The Pearl District is the place to be this Easter weekend. 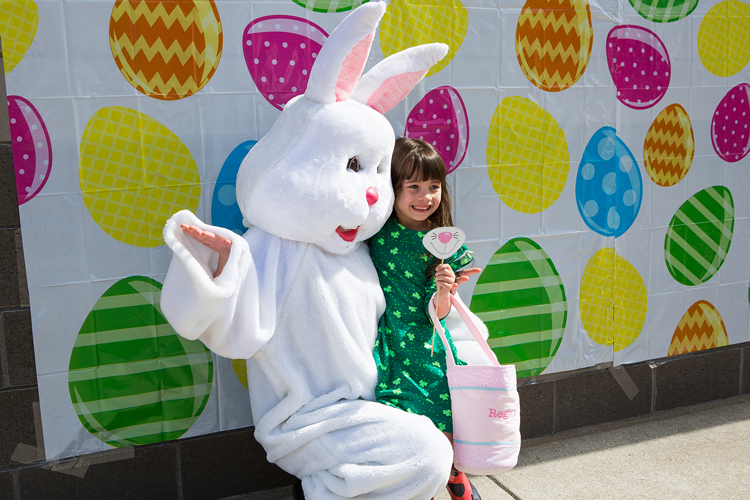 Bunny Hop Through the Pearl is a celebration of spring, featuring fun activities, treats and photo opportunities with the Easter Bunny. From 11 a.m.–2 p.m., travel between participating merchants in the district to collect treats, make art projects, or play games. Collect stamps at each location and be entered to win raffle prizes. From 2–3 p.m., head to Jamison Square Park for a big raffle drawing, photo opportunities and live family-friendly music. 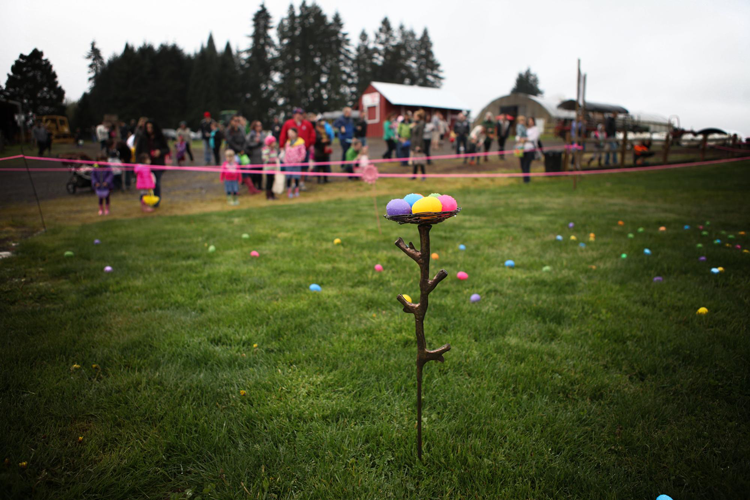 Take part in a beloved Portland tradition at the 57th Annual Easter Egg Hunt at Alpenrose Dairy! The hunt is at 10:30 a.m. for kids ages 3–5 and 12:30 p.m. for ages 6–8. Participate in the one-of-a-kind Easter egg hunt, grab a snack from the concession stand, get your face painted, and pick up a fresh bouquet of tulips from Easter Seals. This free event provides the perfect environment to celebrate the spring season. The City of Fairview is hosting their annual Easter egg hunt at Fairview Community Park. 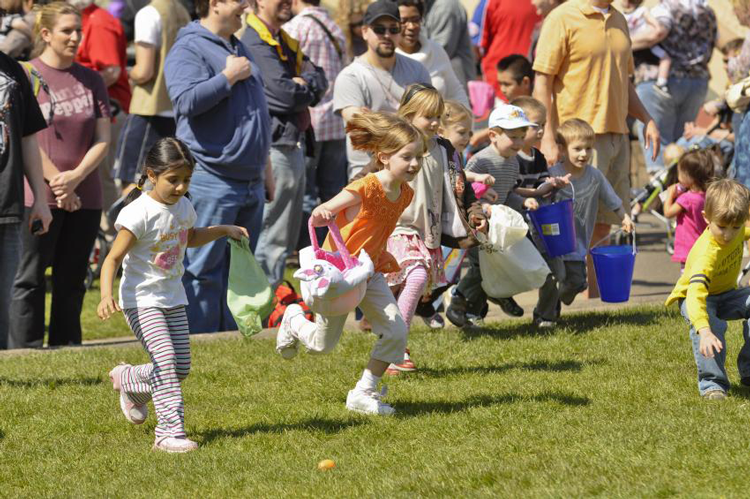 There will be three separate egg hunts divided by age groups. Search for more than 15,000 chocolate eggs hidden throughout this beautiful park in Fairview! April 21 | 9 a.m.–3 p.m. 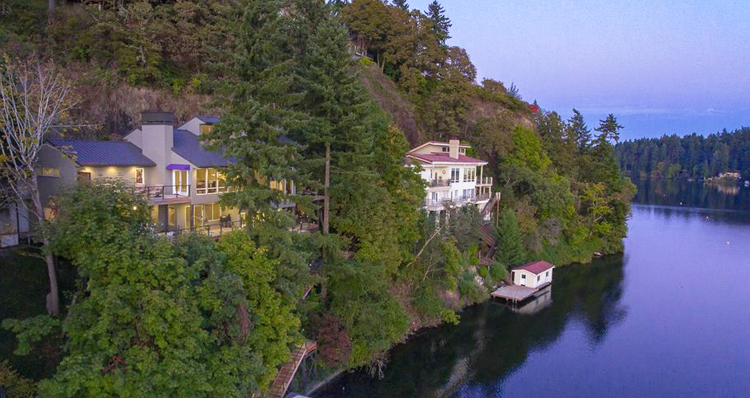 Enjoy a special brunch at McMenamins Edgefield this Easter Sunday! There will be a full buffet of brunch fare, complete with all-natural ham, bakery offerings, a variety of salads, fruit, egg dishes and desserts. This is the perfect solution to please Grandma, the little ones, and everyone in between! The brunch is $42 for adults, $24 for kids ages 5–12, and free for kids 4 and under. Reservations are required. April 21 | 2 + 3:30 p.m.
Pix Patisserie is hosting a formal (but fun!) tea service, with seatings at 2 and 3:30 p.m. The $38 menu includes a pot of tea from Townshend’s Tea House, plus a selection of 14 sweet and savory bite-sized treats. Options include French macarons, mini éclairs, quail eggs in prosciutto, salmon tea sandwiches, and more. Reservations are required. There will also be an Easter Egg Extravaganza, featuring 50 eggs, each of which contains a golden ticket for up to $50 in Pix Treats. Doors open at 1:30 p.m. sharp on Easter Sunday. Sit down for a special Easter brunch in an unexpected setting — onboard the Portland Spirit. 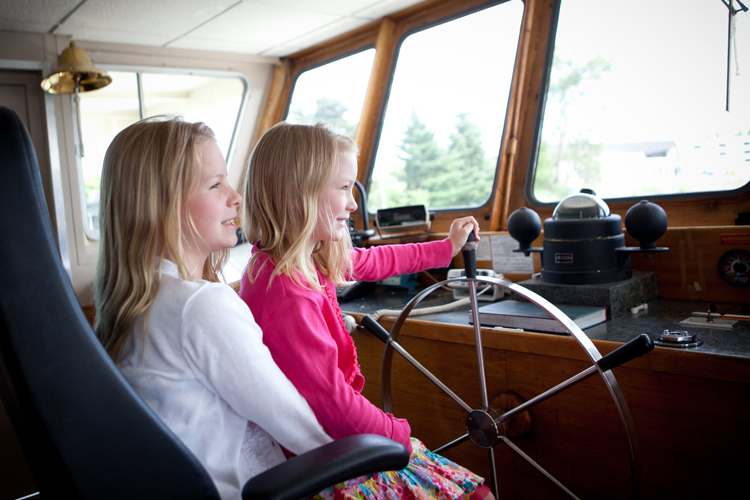 This special two-hour Easter brunch cruise will feature an elaborate brunch buffet, ever-changing scenic views, excellent service and gifts for each child. The price of $60 for adults and $30 for children includes a delicious Northwest buffet, dessert, entertainment, coffee, hot tea, champagne, sparkling cider and service gratuity. 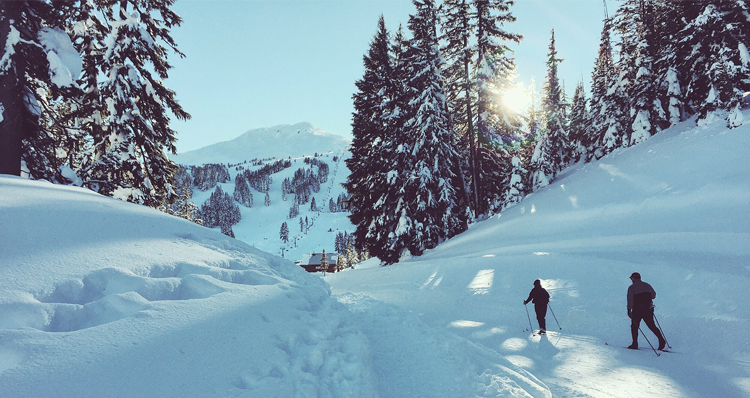 Enjoy a morning brunch at 9:30 a.m. (boarding at 9 a.m.) or an afternoon brunch at 2:30 p.m. (boarding at 2 p.m.). What community events are you looking forward to this Easter? Let us know in the comments below!